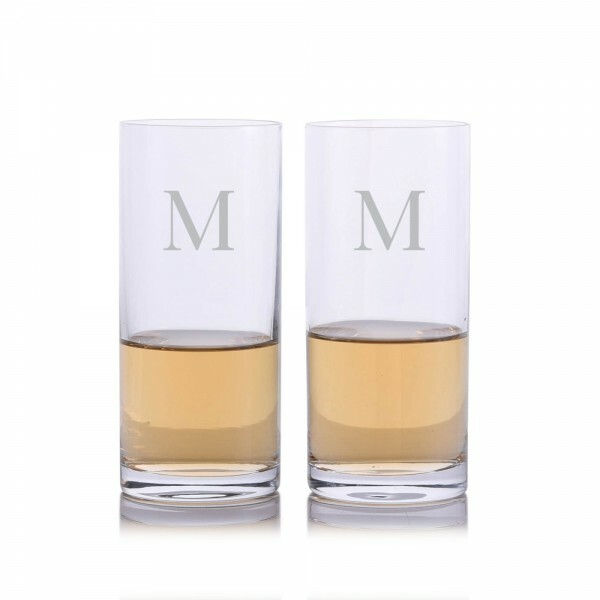 This set of 2 Crystalize personalized highball cocktail glasses is perfect for all types of spirits and mixers. 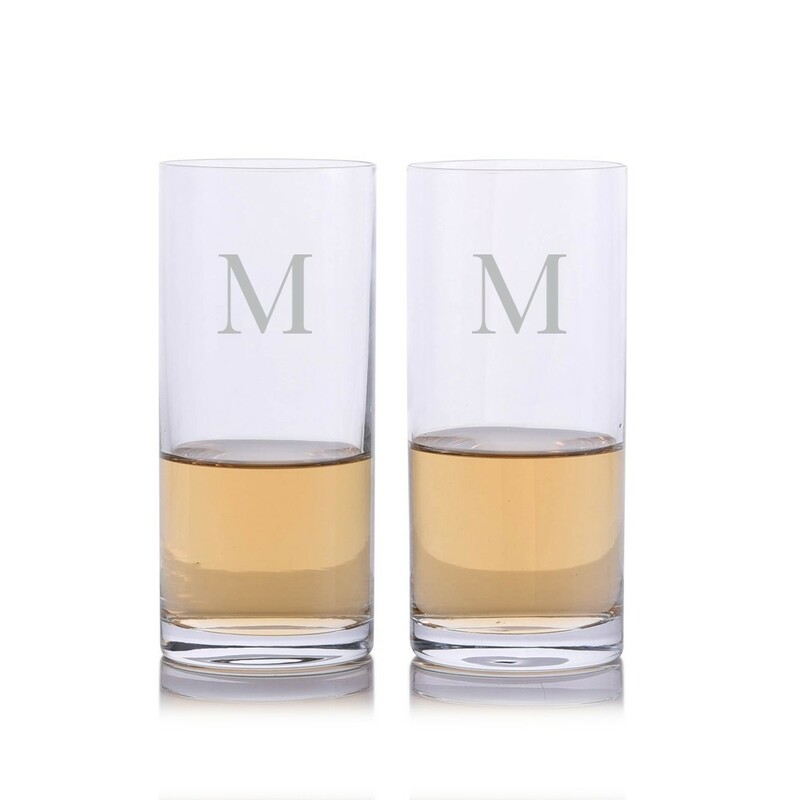 Made in the Bohemia region of the Czech Republic, these high quality glasses are lead free and made with titanium. A fantastic gift for anniversaries, groomsmen, retirees, or any special occasion. All personalization is done using our sandblasted etching process that lasts a lifetime.